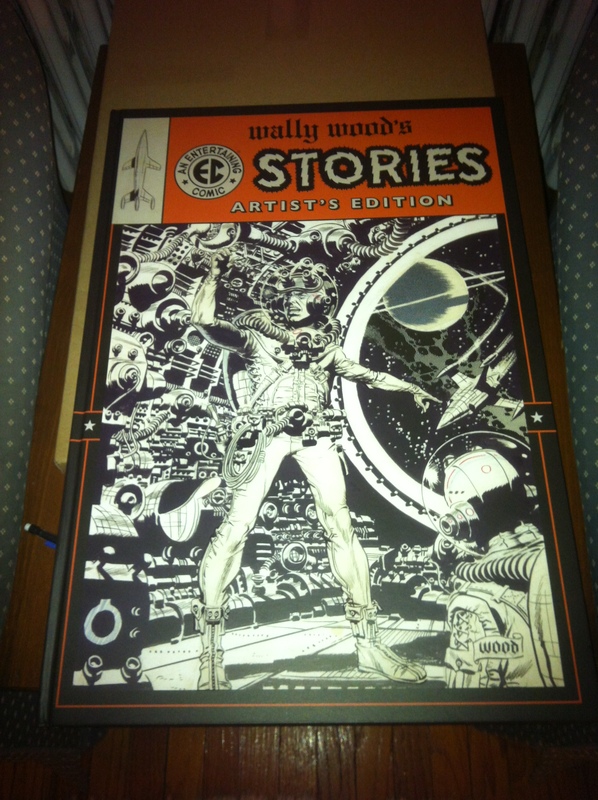 Joe: The WALLY WOOD EC STORIES ARTIST’S EDITION has already sold out of any shelf copies we had (and we had a few). We are trying to get some more in. The art inside the Wally Wood book is GLORRRRRRIOUS. Regular COMIC BOOK LOUNGE subscription customers who ordered the Wood Artist’s Edition have their copies waiting for them. IDW has not skimped at ALL on this one – it’s a full 1/3 larger than the other artist’s editions – the cover section at the back is worth the price on its own. Kevin: Stunning. Absolutely Stunning. IDW’s Artist’s Editions have been exceptional so far, but this one takes the cake. 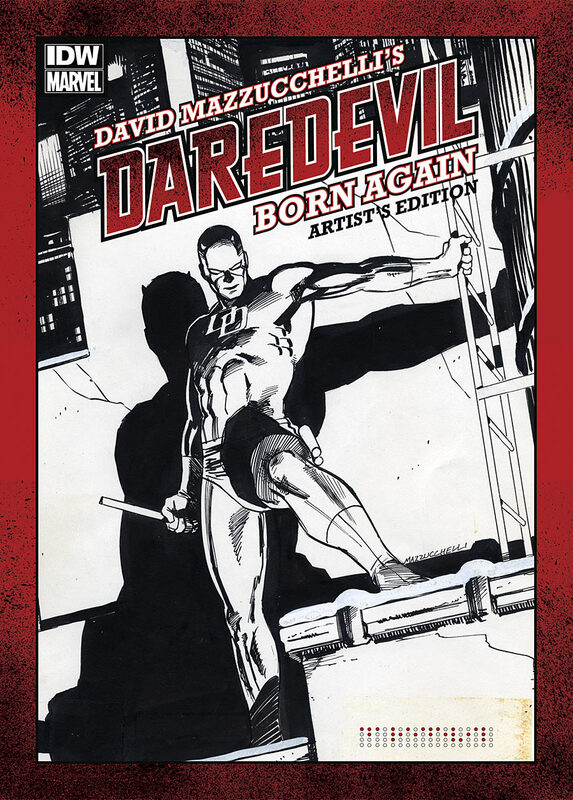 Watch for Will Eisner’s Spirit Artist’s Edition in April and there’s now word that Miller and Mazzuchelli’s Daredevil: Born Again will get the Artist’s Edition treatment this summer. Daredevil Born Again. That title strikes a chord with comic fans who know what it means. Fans who know that it represents two of the finest creators at the absolute peaks of their game. David Mazzucchelli’s superhero work had reached an artistic apex when this series was released, and the same is true for Frank Miller’s writing. Together they combined to craft a story of extraordinary impact that is still regarded as a true masterpiece. Collecting the entire storyline of Born Again, this book will feature the complete issues of Daredevil numbers 227, 228, 229, 230, 231, 232 and 233, plus covers and extras. Each page was personally scanned by Mazzucchelli from his own original art. This is the largest Artist’s Edition yet, weighing in at a rock solid 200 pages of beautiful Mazzucchelli art in the way you’ve always wanted to see it—the next bet thing to holding the actual original art!